(i) To ask Her Majesty’s Government what assessment they have made of the revisions to the regulations on religious affairs in China, and of their potential impact on freedom of religion or belief in that country. (ii) To ask Her Majesty’s Government what representations they have made to the government of China about the disappearance and current situation of Chinese lawyer Gao Zhiseng, who went missing in August. (iii) To ask Her Majesty’s Government what representations they have made to the government of China concerning restrictions on freedom of religion or belief for Tibetan Buddhists in China, including the detention of religious leaders and the demolition of places of worship. On 30th December 2015, the Bishop of St Albans, the Rt Revd Alan Smith, received an answer to a written question concerning the detention of Chinese Human Rights lawyer, Pu Zhiqiang. On 7th November 2013 the Bishop of Guildford, the Rt Revd Christopher Hill, took part in Lord Dobbs take-note debate on the recent developments in the relationship between the United Kingdom and China. He focused on the long-standing relationship between the West and China, particularly in terms of the long history of Christianity in China. He noted contemporary initiatives to strengthen the relationship between the Church of England and the church in China, particularly the role of the Bishop of Birmingham as the Archbishop’s envoy to China. 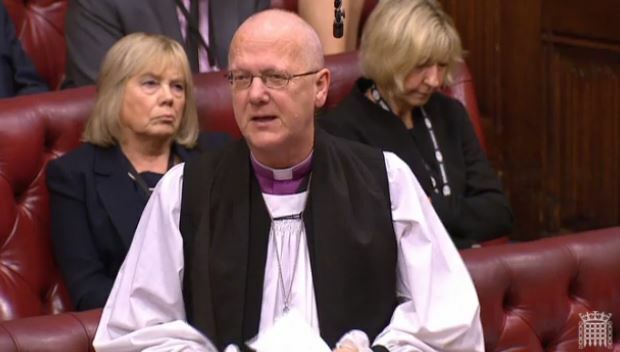 The Lord Bishop of Guildford: My Lords, the right reverend Prelate the Bishop of Birmingham deeply regrets that he cannot be in his place today. He is the envoy of the most reverend Primate the Archbishop of Canterbury in relation to China. I am sorry that he is not here speaking, and not only because I am speaking in his place.